The Bluebonnet Award of the Houston Academy of Nutrition and Dietetics is intended to recognize an individual who is not a dietitian, but who has contributed significantly to the advancement of nutrition and dietetics in Texas. Dr. Russell Kridel is a passionate advocate of the importance of nutrition and diet in our community. As the President of the Harris County Medical Society for 2013, one of his primary goals during this year is to help target the obesity epidemic in our community. He created the HCMS Personal Responsibility Committee dedicated to helping address the obesity epidemic. 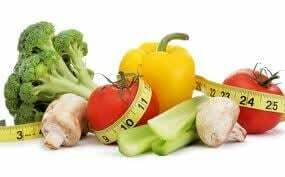 The committee provides physicians from all specialties with additional tools to communicate with their patients about the importance of diet and nutrition to prevent obesity, diabetes and other diseases, with specific emphasis on sugar sweetened beverages. Through Dr. Kridel’s leadership, the committee developed a brochure called “Shut Out Sugar” for physicians and other health providers to hand out to patients. The brochure clearly outlines simple and easy steps people can take to reduce consumption of sugar-sweetened beverages to improve their health. He also participates in key roles at the state and national level on health care issues that positively promote the role of diet and nutrition in the ever-changing landscape of health care. Dr. Kridel is in his sixth year and the current Chair of the American Medical Association (AMA) Council on Science and Public Health (CSAPH). CSAPH provides information and recommendations on medical, scientific, and public health issues. Reports during Dr. Kridel’s tenure on the CSAPH, have covered such issues as: sugar sweetened beverages, obesity and bottled water safety. Dr. Kridel also has a blog --- scienceandyourhealth.com, that provides patients with answers to questions about topics covered by the CSAPH reports. As the immediate Past President of the TMA Foundation, Dr. Kridel also raised funds for initiatives that enable physicians and their families to give back to their community and improve the health of all Texans. The foundation supports TMA’s health improvement programs that address the association’s public health priorities. Houston-based Facial Plastic Surgeon, Dr. Russell Kridel, will be presented with the Bluebonnet Award at the annual Houston Academy of Nutrition and Dietetics member’s dinner in May, 2014. He will also be placed into consideration for the statewide designation. Please join all of us at Facial Plastic Surgery Associates in congratulating Dr. Russell Kridel on this significant award and his continued contributions to providing all patients with the highest standards of health care!